Fitzgerald Commercial Movers is the reliable industrial moving company you’re looking for. Serving the Washington D.C. metro area, we can efficiently and professionally meet all your warehouse, factory and industrial moving needs. Fitzgerald Commercial Movers understands that no two moves are alike, and since 1978 we have provided clients with the services they need to change locations quickly and efficiently. Our experienced team can help minimize downtime and keep production up throughout your move. Don’t see what you’re looking for listed above? Simply get in touch with our team, we’d be happy to discuss any additional requests and accommodate your needs. Fitzgerald Commercial Movers is an award winning Washington D.C. moving team. Among other awards, we were winners of the CREBA Best Washington DC Moving Company award for 2016 and 2017. Countless businesses throughout the Washington D.C. metropolitan area rely on our highly-trained teams to provide exceptional moving services. Fitzgerald Commercial Movers is here to plan and execute relocation of large and oftentimes sensitive industrial material and equipment of all kinds. Nothing is left to chance as we conduct thorough inspections prior to, during and following the process to ensure each piece of equipment remains in fine condition. In addition to providing skilled handlers, the Fitzgerald fleet is equipped to provide smooth transportation for equipment, materials and other property throughout the move. Proper equipment for lifting, moving and securing items is used at all times to ensure a problem-free move. 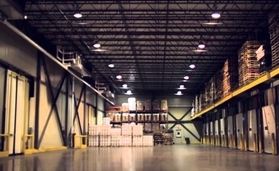 As an added benefit, we offer storage space ranging in size from 25 up to 100,000 sq. ft. for both long and short term storage needs. Our secure building is the ideal storage location. Contact Us today to find out more about our warehouse, factory and industrial moving services and how we can exceed your expectations. Our friendly team members would be happy to provide you with a free quote, tailored to meet your moving needs.